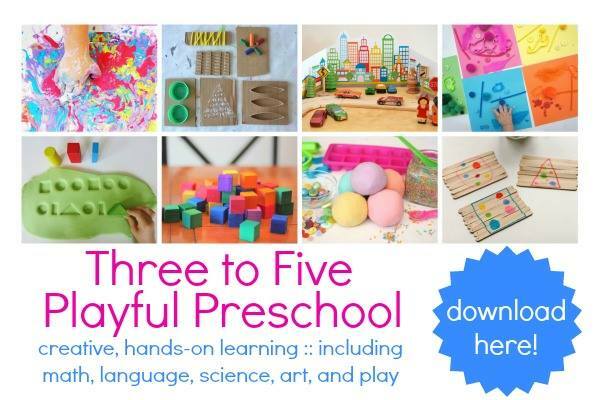 Today we are joining Sun Scholar's 100 Days of Play series with OVER 100 other bloggers! The point of this series is to really play with your kids every day- but also to find super simple ideas that don't require a lot of gear or set up. I think I have something that fits that bill for you today! 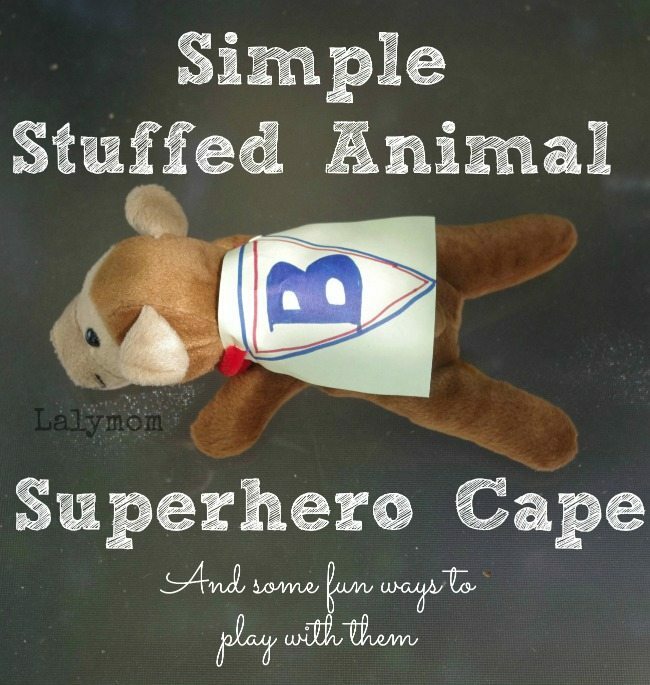 It's a super simple stuffed animal superhero cape! I thought she would enjoy decorating it so I got out the Post-Its which would be just the right size. She told me she didn't want to draw on it and that she wanted me to make it. I asked what should be on it and she thought for a while. Finally she said, “Buh-buh-Bear………Buh-Buh-BEEE!” I said wow that's right, bear starts with B! She said she wanted a B on his cape so I drew it on, using the color blue, which was her choice. She has a set of Wonder Pets stuffed animals and their capes have letters, so I'm guessing that is where she got the notion to put a letter on it. Here is a the super easy run down on how we made it. Decorate your post it note cape. Poke a couple slits in the corners of the post it and thread pipe cleaner through it. Wrap the pipe cleaner around the stuffed animals' neck, twist it tight and tuck the ends down or behind the neck. Super Bear has had all kinds of adventures! He flew around the house, rescued baby brother (I don't know what from), played in the back yard, “flew” down the slide and even went potty, apparently! We even created a superhero obstacle course for him using things already in our back yard! Under the chair, up the slide ladder, slide down, fly around, you get the idea! It was so fun to play with Ladybug in her own pretend world! This would be an easy rainy day play to put together to make forgotten toys feel new again. 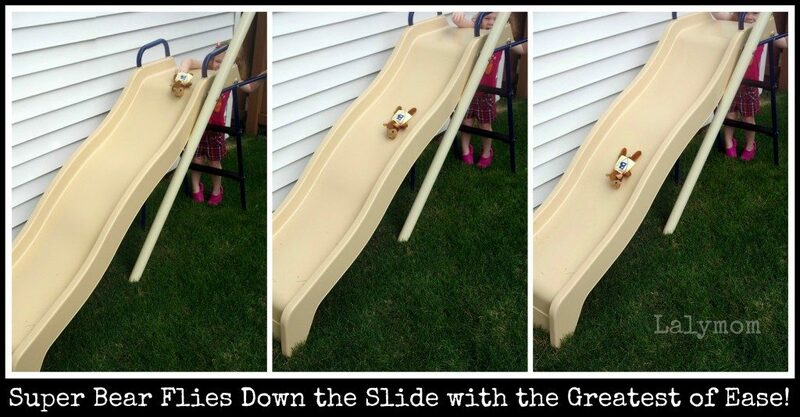 In fact…as I wrote that I noticed the sound of rain outside…where Super Bear was resting at the bottom of the slide! So I guess he got a little shower in today too! This project works on fine motor skills if your child colors the cape with markers and twist the ends of the pipe cleaners to get the cape to stay on. Creativity comes through in decorating the cape, naming the bear and all the ways you can play with him. Flying him around and making him go over and under various obstacles is great gross motor practice too! What else would you and your kids do with a superhero stuffed animal? I'd love to hear about it in the comments below! 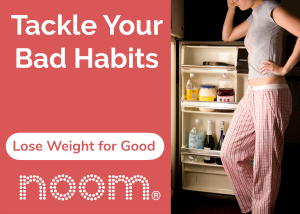 If you liked this easy activity, please like us on facebook to follow along with more fun! Our pinterest boards are filled with more great ideas from around the web, come on over and follow us! We hope to see you again soon! Note: The pipe cleaners were provided to me for free from http://www.craftprojectideas.com/. Affiliate links may be used for your convenience. Check out the 100 Days of Play Blog Hop Sharing simple ideas on how to connect with your children through play! What is your favorite simple play activity? For more easy DIY fun, check out my DIY Kids Stuff Pinterest board! What a lovely idea. Thanks for linking up to our Parenting Pin-it Party. This is so awesome – I wish I had thought of it! Thanks for sharing. We will definitely have to try this one! That is so cute! What a fun and simple idea! Thanks for sharing this in our blog hop! 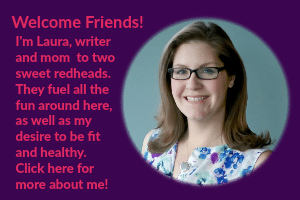 I am playing some catch up, and have you linked and pinned. I will be sharing your post on Sunday morning over at Sun Scholars. Thanks so much for joining us in our 100 Days of Play! Very fun! Thank you for sharing at Sharing Saturday!